Here is a roundup of the 2018 Nikon D750 Holiday Deals & Sales, along with Black Friday, Cyber Monday and Green Monday Nikon D750 deals, sales and specials. Featuring a 24.3MP CMOS sensor, along with the EXPEED 4 image processor, the Nikon D750 DSLR camera is capable of producing high-resolution imagery with smooth color gradations, low noise, and sensitivity to an expandable ISO 51200, at a continuous shooting rate of up to 6.5 fps. In regard to video recording, Full HD 1080p/60 is supported, along with the ability to record uncompressed video to an optional external recorder. In addition, Nikon D750 gets an excellent 90% overall score and Gold Award from the experts at DPReview. Suggested for wedding/action photographers, video enthusiasts. This page will be updated when new deals available, so bookmark this page and check back often for the latest Nikon D750 Black Friday/Cyber Monday/Green Monday/Holiday Deals. $600 off on Nikon D750 body: $1,396.95 at Amazon, B&H, Adorama. 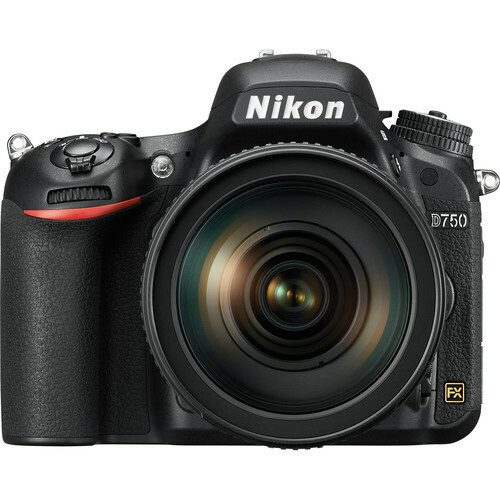 $1,200 off on Nikon D750 w/ 24-120mm Lens: $1,896.95 at Amazon, B&H, Adorama. Read more: Nikon Black Friday Deals 2018 and Best Lenses for Nikon D750.